Fuzhou, capital of Fujian province on southeastern coast, about halfway between Shanghai and Hong Kong; 4.5 million inhabitants in urban area. 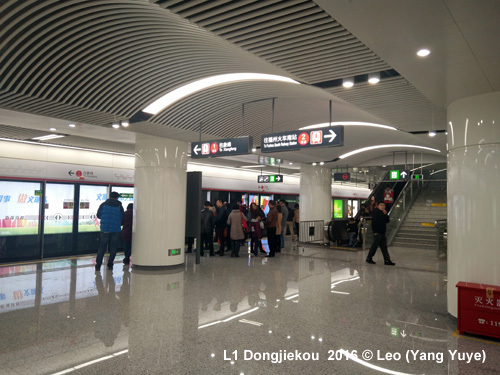 Currently, the Fuzhou Metro is a single north-south line connecting Xiangfeng and the city centre (Nanmendou, Chating, Dadao) with Nantai Island and Fuzhou South Railway Station. 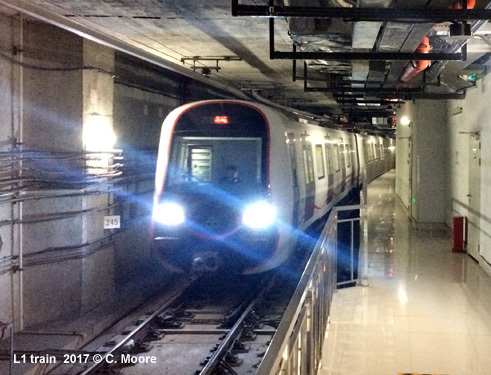 Besides this, the east-west Metro Line 2 is also in an advanced stage of construction. 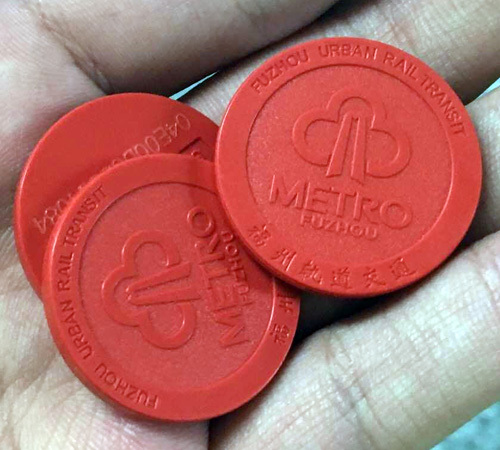 Opened in 2016, the Metro has a new and clean feel to it. 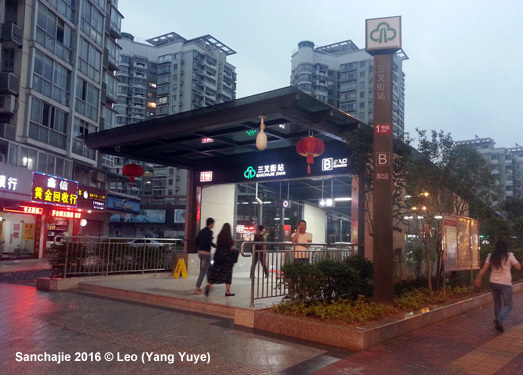 Station entrances are smart and visible with totems topped with the green and white logo. 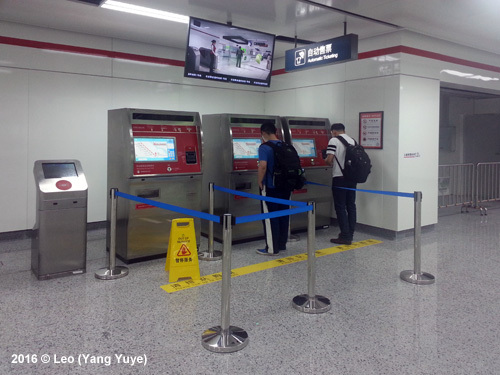 The ticket halls have security screening and banks of automatic ticket machines which dispense red RFID tokens. 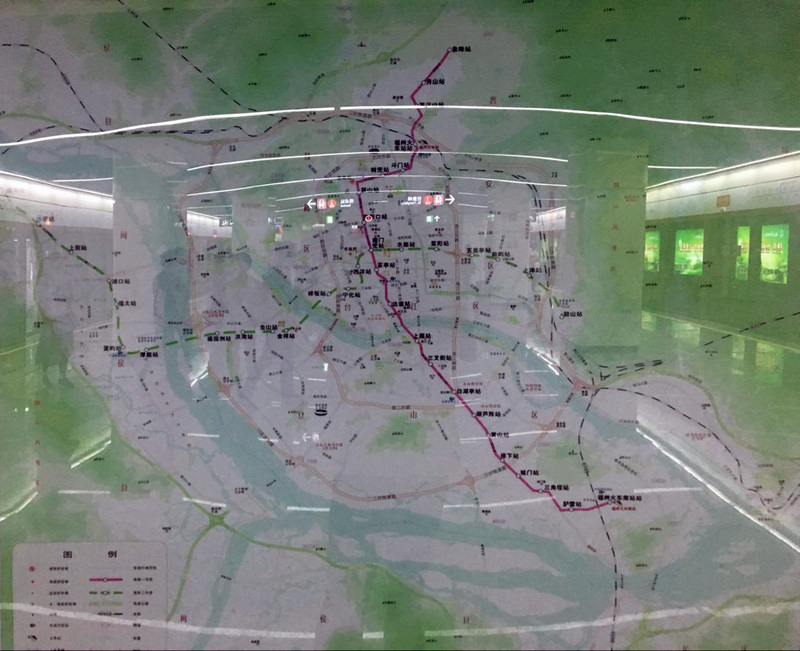 Here you will find the only schematic map on the system and this is for fare information only. 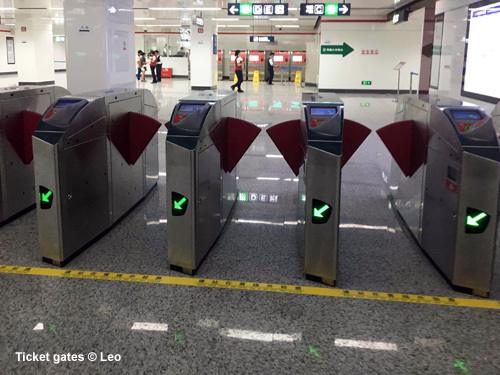 Fares are distance based (2-6 Yuan) and the token is tapped on the stylish entrance barriers located at each end of the station (slotted on exit). 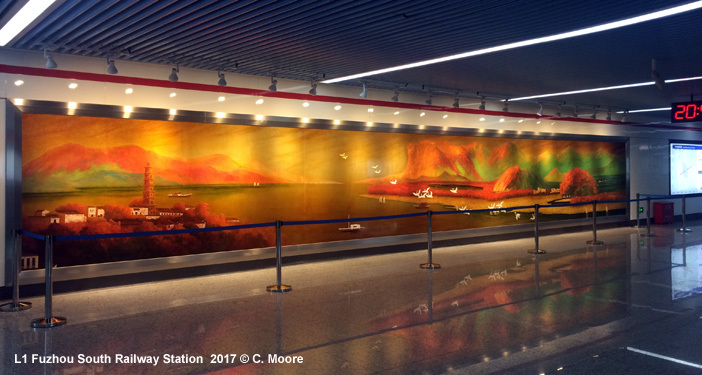 The ticket hall has colourful wall paintings depicting local history and culture, a customer service centre where maps and user information is available, and station location information. 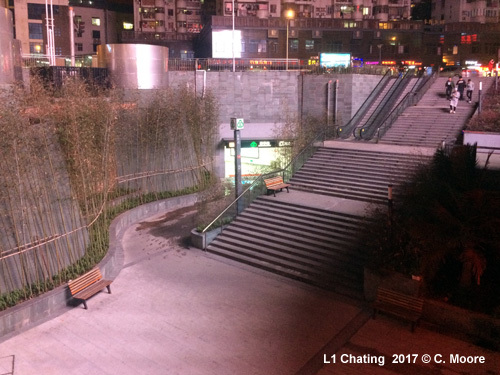 Stairs and escalators provide access to the platform areas. 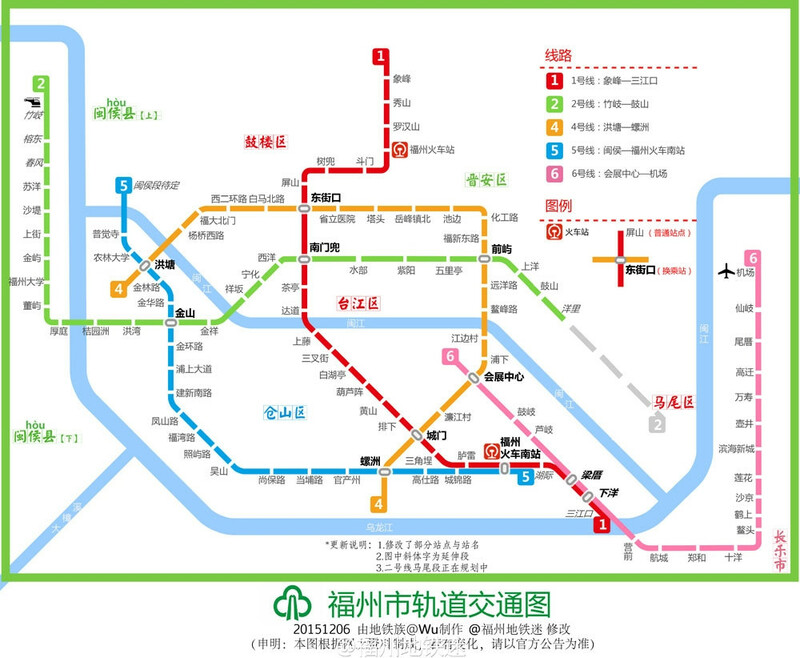 All 21 stations on the 24.9km fully underground line are similar. Island platforms, full platform screens with station identifier, vertical line map and directional information (all in red). 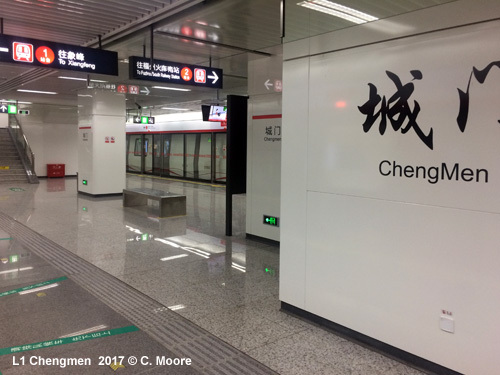 There is limited seating and broad white pillars which show station name (the escalator walls have large calligraphic station names also) and at each end of the platform is a beautiful geographic map of the line, also showing the new Line 2. 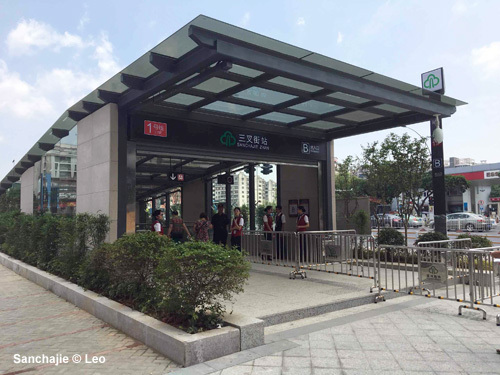 There are no startling design elements to the line infrastructure, but the stations are functional, clean and spacious. 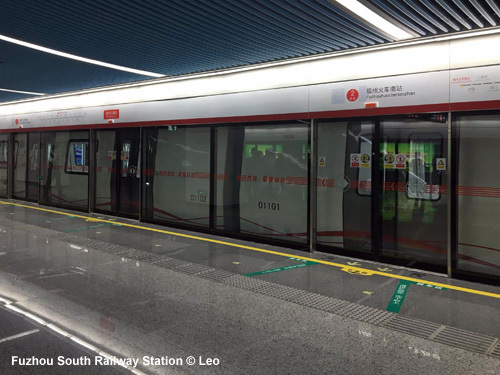 Train services are operated with CNR stock (Type B) in 6-car sets, utilising overhead power supply. 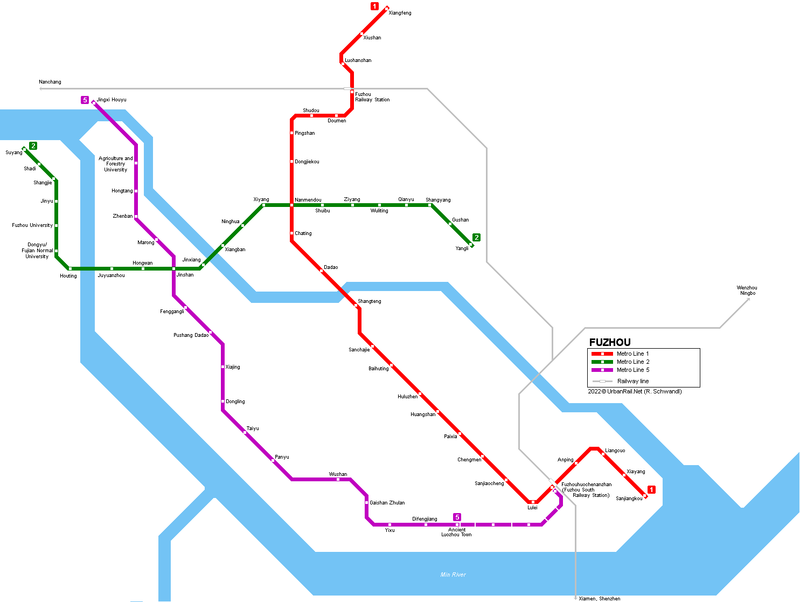 The system runs from 0630-2230 with a base headway of 9mins, and a trip along the line takes 45mins. 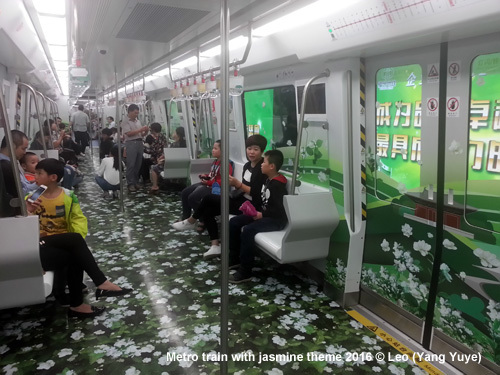 The train exterior is mainly white but doors are in a pale grey and this looks very smart. 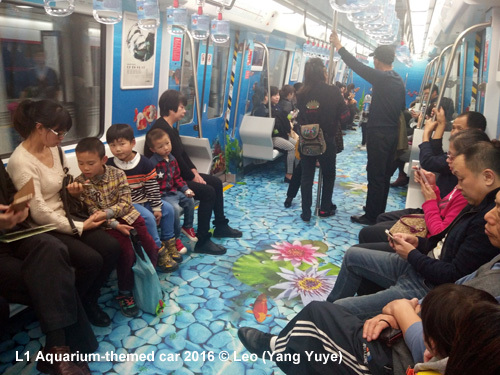 The interiors are bright and clean and are predominantly white with a blue floor, which is quite unusual in China. 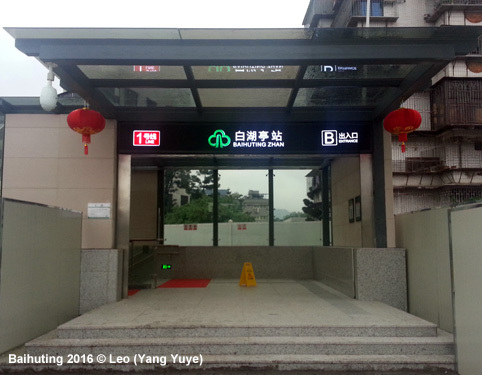 There are electronic strip maps above doors, electronic station information and LCD TVs with line and service information. 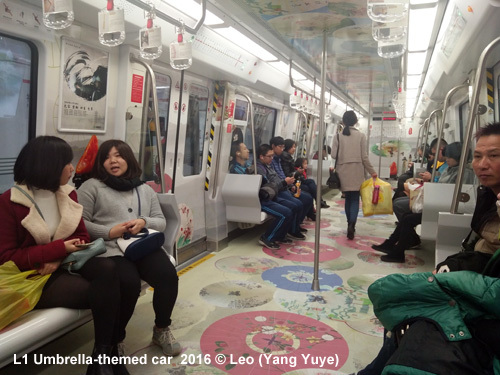 There is no schematic map on the trains (but this may change when additional lines are opened), and advertising seems limited to grab handles, and so opportunity to add colour to the starkness of the interior is limited. Audio information is loud and in Mandarin and English. One thing to note is the seating which has a unique high, angled side. I sat at the end to get a feel of this and it was uncomfortable. Quite why the seats were designed this way I do not know. As for the ride, well as with most new systems here, the acceleration is good and the ride smooth. The ATO, however, means there are very long dwell times at stations. I rode the line late in the evening when passenger numbers were minimal and the train was often stationary for 30 seconds after the last passenger has boarded/alighted. This is a small and simple system and so there is little to comment on. 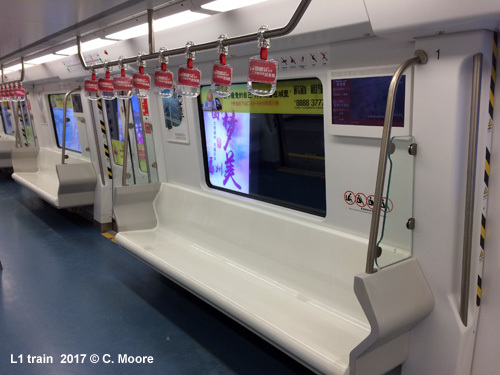 It does not have the distinctive features of some of the newer lines in China, but is effective and functional at what it does. A nice little line.